Alma is an absorbing and beautifully drawn character. She blames herself for the accident that damaged her daughter’s brain, and in moving the family to Delaware so Maribel can get the help she needs, Alma also feels responsible for her husband Arturo’s predicament, working ridiculous hours in poor conditions at the mushroom farm that has sponsored the family’s visas. Her overprotectiveness of Maribel is both understandable and frustrating. Her terror at being unable to speak English or find her way around her new city is matched by her despair at having to stretch Arturo’s meagre salary to feed her family with cheap, bland food. Their tiny, barely furnished apartment contrasts poorly against her memories of their bright, warm home in Mexico, filled with delicious smells, laughter, and family. She is brave and frightened, loving and withdrawn, trying desperately to hold her family together even as she is sure it is her fault they’re falling apart. The book is strongest in her hands and in the short one-off chapters told from the point of view of a different person. Each neighbour has come from a different Central or South American country for a different reason. We hear stories of people who came to be movie stars or wrestlers, who bought their way out of prostitution or who wanted to be priests. This also helps to flesh out the story, as we see, for example, the woman Alma find to be a meddling braggart and who spies on Maribel and Mayor, talking about why volunteering and keeping an eye on the neighbourhood is so important to her. This gently underscores Henríquez’s point—we’ve jumped to a conclusion about many of these people before taking the time to get to know them and see things from their point of view. 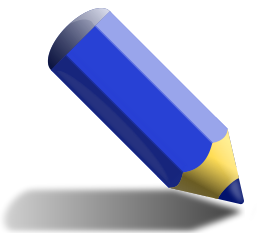 The story falters when it jumps into Mayor’s point of view. His voice, and Maribel’s, never quite find an authentic note, sounding much more like forty year olds than fifteen year olds. They speak to each other as though reading lines from a play, and while the romance that develops between them is sweet, it’s troubling never to see it from Maribel’s side. The villains of the story are likewise lacking in dimension—it’s obvious from the beginning who the bad guys are, and they act like bad guys consistently. The plot feels mechanical, which makes for a predictable climax that is neither shocking nor as emotional as it should be. Ultimately, the tension and pacing don’t find their footing. The book succeeds and fails on the strengths and weaknesses of its characterization. When it’s good, it’s very good. A quick but thought-provoking story about how “the immigrant experience” is not one homogenized thing but contains multitudes, The Book of Unknown Americans is a worthwhile read for the voices it gives a voiceless—or ignored—segment of the American population. A copy of this book was provided to me by Bond Street Books in exchange for an unbiased review. 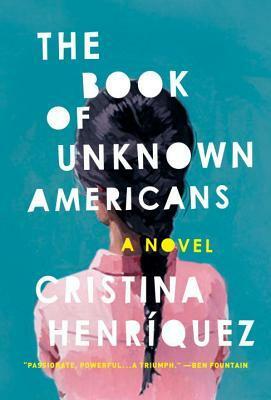 The Book of Unknown Americans by Cristina Henríquez, published in Canada by Bond Street Books, © 2014.